Entity that came to dialogue: Eon, the Absolute. Eon: After a while I’m contacted with you all, once again, and as I always say, my contact is permanent, it's a pleasure to be contacted with this vessel again so that my message and/or my answers reach those beings on Sun 3 who are truly interested in hearing what I have to say. Interlocutor: It’s a pleasure for us as well. Eon: If you want to, dear son, you can start with the questions from those who have had the willingness to know. I have some doubts with regard to the following topics: If all the events, arts, sciences and developments are stored in the spirit of a planet, which are kept in what we know as the Akashic Records  and these records are managed by a Logos and the Lipikas grant permission to the spirits to check them out... Assuming that these Akashic Records are consecutive and cumulative records on a time line based on the original or real story. What happens to all the alternate universes? Where are these data stored? Since the Divine Energies and Elohim are in charge of filling the possible alternatives. Are there alternative Lipikas, alternative Logos or alternative Akashic Records? Eon: First of all, I clarify that there is no planetary spirit, understanding that the planet has no spirit, although there is a Logos or a Guide of all the inhabitants in a world. 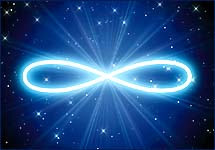 With regard to the important question, Yes, all the Akashic Records, original or alternative, are unified into one single unit, needless to say that the language is limited. I also clarify that the Lipikas don’t grant permission, because to grant permission would also mean an option to deny permission, and that would be against the Free will that I have given to you all. I think the answer is clear and the proposal too. Eon: Well. Therefore, all that was thought and/or performed by every being throughout your whole history is recorded in the “Akash,” including the options that have opened up various alternate universes are also recorded in the same Akash, Let’s say that there is a memory and that memory is part of me, obviously. Let’s say that the Akashic Records would be, somehow, part of my memory, although you, from your point of view, have me as an Eternal Present, this eternal present doesn’t stop being a cumulative history. Please continue. Interlocutor: Are there individual alternate universes that become more macroscopic, reaching a planetary stability by modifying the whole history? Is there a law or constant for the crystallization of alternate universes? Where are all these stories recorded? In the temporary memory of the planet? Eon: There is no temporary memory of a planet. There is an Akash, where all these stories are stored. Nor is there a law, it’s simply as if you had a two-pan balance and according to the weight that you put into one of the pans of the scale, you see if the weighing scale oscillates back and forth. An alternate universe can become tangible according to the history which is unfolded in that alternative universe, but not because of a law or a constant, and if you want to search a constant seek it in the weight that an alternate universe might have, as I said before, the weight of its history, which is unfolded in it. That would be the answer, but let's not talk about planetary memory or temporary memory; everything has to do with the “Akash,” which is part of my Essence. You can continue. Interlocutor: The planet is one, but all the alternatives happen in it. Let's say that the planet is always the same, even passing to parallel universes, it’s still the same planet after all. Inside of one parallel universe, Do all the alternatives of a planet converge over time as if it were gravity? Is there any regulation of diversity throughout time? Would there be a relationship between the balance of a planet and planetary karma? Eon: First of all, there is no convergence at the moment that universes are parallel, parallel things do not converge. Second, unlike the alternate universes, parallel universes have independent lives, they can have all sorts of independent entities with only one point in common, my Essence, but let’s rule out the word planetary consciousness or planetary spirit. The planet has no spirit and there is no planetary karma either, karmas are individual ones, and as one of my dear sons said: “Each one will emerge by his own effort,” many people will interpret this sentence as an egotistical phrase, as an indifferent sentence, but it is a reality because it’s up to each one of you to reach the Path, regardless if other person helps you out by stretching out a hand to help you all. Another of my sons said: “Service.” It’s okay to stretch out a hand to help others, but in fact, each one on you, each child must walk the Path. Perhaps what I say now will sound like a contradiction. Yes, there is a convergence, the convergence with the Big Crunch, where a new singularity will come, everything will converge in the Singularity, but in fact, my answer is captious, because everything that is parallel doesn’t converge, it simply means that every parallel universe simultaneously will find the Singularity. Mathematically you will tell me: 'but there is one singularity, therefore there is convergence’ Okay, if you are satisfied with that answer, I say yes, in that case there is convergence. Please continue. Interlocutor: I guess the last questions are paradoxical with regard to what I think might be balanced and controlled by Elohim. The doubt is if all the alternative stories are also stored in the Akashic Records. I understand that alternate universes are opened up by a quantum entanglement in the Physical Plane and therefore it doesn’t split part the concepts from entities above the interaction with it. That is, there would not be alternative Dimensional Logos, or alternative Divine energies, but those spaces would be filled by the equilibrium or remaining structure from the higher planes. Always speaking about a parallel universe, because in others it would be possible the existence of all the entire differentiated structure in parallel. Then one could have access to the Akashic Records and read the story of a planet, its master works, development and arts. And what happened to alternate universes? Because there are alternate universes that have remained as if they were parallel universes and they are intertwined in the same root. Assuming that these universes converge or fade away, Where will all this information go? Eon: The information is always stored in terms of what you said at the beginning, first, if that alternative universe, speaking about alternate universes, has a historical constant and strengthens its structure, it will not just only be sustained by an endless quantum, but it will have its own Elohim, Essences and Aes, because it will be consistent as if it were a parallel universe. On the other hand, the parallel universes, which are always 22, each one will have its own Elohim, Essences and Aes and as I said before, with one common Essence, my being, because I embrace all the universes of this Creation, I clarify that this Creation, in which there is a 10% of myself manifested is comprised of 22 parallel universes and 'infinite' alternate universes, many will endure, others will fade away, when those alternate universes fade away, those records will flow into the unique Akash, as I said before, part of my Being. Nothing is lost in the Eternal Present! Please continue. Interlocutor: If Eon created the Creation and its laws, How didn’t Eon create karma for himself? By creating temptation, as a consequence, Eon would cause a hostile act towards all the physical beings in all the universes. Eon: I’ll respond that question. If you are embodied and you have a child and raise him, you know that that child is going to be fallible because he's going to be a 10% embodied spirit, you do not create Karma for yourself by bringing forth a new life. Eon: In my case, surely it’s different because if you interpret me as an Eternal present, you all understand that I already know in advance- speaking in your language- that you all will be fallible and that you all will be embedded with the reactive mind, and I already know in advance that you all will commit hostile acts, I will not mention that phrase of yours: 'The end justifies the means' because I disagree with that viewpoint be always so, but since I am interested in the end, which is the great learning, when I created Elohim, directly in the essence of the Elohim is implemented your creation as spirits and/or angels, and the spirits are created in the plane 5 the maximum level of Light, the fact that you are created with reactive mind makes that the struggles of your ego have arguments and then you lower down from vibration. It’s not me the one who makes you lower down from plane directly, but indirectly I do it, so that you all learn the Path. If I Created you all perfect that would make no sense because there wouldn’t be learning during the 'march' of all this Creation throughout the billions of years since the big bang to the big crunch, there is a beautiful and great learning, where you descend and ascend countless times, you fall, you trip, and stand up again and from you all emanates a vibration that makes the universe goes accumulating energy for the next big explosion, so that the new universe vibrates an octave higher. For that reason I don’t create karma for myself. Anyway, in my Essence, it would be impossible to create karma for myself because I'm an Eternal Present. Please continue with the next questions. Interlocutor: Yes, I have an example here: If I try to commit a hostile act by putting a gun in the hand of a murderer (demons or entities of error) and I don’t tell them not to do if they want to do it, by common sense I know that in essence they’re psychotic and a gun will kill or injure someone. If I don’t ask them directly, Don’t I create karma for myself? I’m speaking only about the beginning of the Creation, because afterwards Free Will is not taken into account. I was giving this example with regard to the previous question. Eon: It’s a question or a comment perhaps a little out of time as for how each being in each world is, but in order to not complicate this vessel, I will speak only about Sun3 and human beings. Although over thousands of your years you all have advanced technologically, very little do you have advanced in your spiritual path. In spite of many of you, who thanks to your culture, have a wider concept of spirituality. During the time my dear son Jesus embodied, there was not this wider concept as you have it now Do you follow me? Eon: However, by having a wider concept of spirituality does not imply having spirituality. And I'll give you an example for you all to understand: Having a library of hundreds of books does not mean that you have read them all, and the fact that you have read these books does not mean that you are going to carry out into action what you've read. I think that the answer is clear. Interlocutor: It means that one has to apply what one learns. Eon: To apply, it’s correct. The opposite would be to have a very poor notion of what the human being is. The human being, embodied on Sun 3, has not advanced yet in a deep way, but he is not a psychotic killer either. As an Eternal Present I know much more, not everything is nice, but I don’t want to jump to the facts. Please continue. Interlocutor: What happened to Peter? The disciple of Jesus, who denied him 3 times and who is considered the cornerstone of the Catholic religion, Did he reincarnate into someone we know about? In which spiritual plane was he at the moment of the death of Jesus and in which plane is he now? It would be interesting to know that because Peter was a biblical character who had so much relevance in all times, and he is in the minds of many people. Eon: First of all, Peter did not deny the beloved Jesus three times, but he has denied him six times, the biblical story was written incorrectly, second; Peter was a very jealous person, the dear Simon, disembodied in the plane 4 sublevel 1. He has embodied many times over the two millennia playing many times jealous roles, always as a male character, often as a hermit and rarely forming a family. The last time he embodied, he did it in the Iberian Peninsula, although he had a perspective of a path towards the Light, his mental decoder in recent years has failed too much –as you say on the physical plane- and he has disembodied unnoticed. He is currently in the plane 3.9 due to roles of ego. Interlocutor: We understand that at the beginning of this Creation, we were all one octave higher than the previous Big Crunch, and that all the spirits were created anew in the plane 5.9. If we incarnate on the physical world in creatures with low conceptual decoder, obviously we would lower down from vibration. Now I don’t want to argue anything, but Wouldn’t it have been more harmonious to grow up in Love by serving in the planes 4 and 5 and ascending sublevels instead of ascending by learning lessons based on temptations on our bodies of desires and suffering in the physical world? I don’t understand why there has to be evil so that there is good, it's like there would be no good without evil, because no one would know evil without love. Eon: That’s no longer up to me, because evil is an eternal present as well as I am, independently that I’m manifested or not, but as I said before, there wouldn’t be learning if a perfect being were created on the physical plane, it has to do with the reactive mind which is creating engrams, the same roles of ego make that a person lowers down from plane, and they don’t have to embody necessarily, there are spirits who have never incarnated and they have so much prominence that they have even descended to the plane 2 without ever have been incarnated. Incarnation allows that a spirit goes through life experiences and acquires learning through human experiences, because I always refer to Sun 3; think about it, as embodied beings. How many times have you remembered me in times of joy? And this is not a reproach because I LOVE YOU ALL, I LOVE YOU ALL. It’s just... as it was said many times by the dear Johnakan, the spoken language of embodied beings is very poor, I clarify that this is not a reproach. I WOULD NEVER REPROACH YOU, NEVER, but, How many times have you remembered me in times of joy? I know beings who gratefully appreciate every sunrise they see, but I know an infinitely greater number of beings that only mention me in their moments of misfortune. That's my answer; therefore, there is the learning of pain. Interlocutor: I wonder to what extent Eon occupies the spaces of the Demiurge, understanding from a broader view that Abba embraces everything, besides, there can be also other Eons that occupy that space, and also the space of others Demiurges, or maybe it’s more exclusive mathematically speaking and each Eon interacts with a particular Demiurge, perhaps the one who is closer, in any case, in order that the Demiurge feels invaded, he should have existed before Eon or Is the Demiurge simply saying it with hatred towards us and Eon? Eon: Each essence has a particular vibration, I could say that love, as you know it, or hate, as you know it don’t exist, Love is a vibration, hate is a vibration too. Maybe it’s just difficult for your minds to understand a particular feeling as a vibration, but let’s express it in that way, each Eon, among whom I include myself, we are an Eternal Present, as well as ABBA and each Demiurge. I’ll speak about my Essence not about other Eons. In a certain moment I manifest myself again, each Eon is manifested again, and the fact that each Creation is expanding is “taking away” space from the Chaos and the Demiurge, from the objective or subjective point of view, it’s very odd that the Demiurge be objective, he will always be subjective, The Demiurge is going to feel invaded by the Light of my manifestation, obviously yes. Now, this is not a mathematical or geographical question, if you want to call it like that, but if there wasn’t any Eon manifested and everything were Chaos, everything would be like a chaotic vacuum, one could say, and I say it in a very simple way because it’s more complicated to explain it at quantum level, you could say that there are Chaotic regions or Chaotic territories ruled by each Demiurge or shaper, and one could say that in the non-manifestation of each Eon, there are like territories, then, somehow if each Eon - among whom I include myself- is manifested in each particular territory of a certain Demiurge, For example: I reciprocate with "x" another Eon is going to reciprocate with "z" so-to-speak, and I also make clear that this was asked before, Eon is a name of our Essence, Demiurge is a denomination of the one who “prevails” in each Chaos, in each chaotic space Do you follow me? Eon: So, Eon is not a proper name, Essence is not a proper name, as well as ABBA is not a given name and Eloah is not a proper name, they are the denominations of each vibration of each Entity, I’m the Absolute of this Creation in which I’m manifested, ABBA is the Absolute of all the Creations, and ABBA is a denomination not a name. I mean, you can call me Eon "A" if you wish, the other Universe would be Eon "B" so-to-speak, but we don’t have other names in other Creations, I want to leave that clear and it is important that you all know that we are not manifested all at once. If this manifestation of mine has 13.7 billion years according to your time, another Eon was manifested 5 billion years ago, and there might be another Eon about to collapse in a Big Crunch, we are not manifested all at once; I want to make that clear. Please continue. Interlocutor: We also know that there are other Eons and Demiurges, and each one of them has his own character, clarifying that Eons have the Essence of Love and Demiurges don’t, although not the strictly opposite, there must be some variables, as well as some of us are bound to love and compassion to others, others are headed to poetry and literature, others strictly to science, others are humoristic, others are tenacious, and others simply do not seek anything. Eon: In this case, as you all call us Eons, Absolutes or Gods, we have the same Essence, we all vibrate in the same syntony, we are twin essences, I cannot say souls, but twin Essences, however, obviously we all have characteristics, we all vibrate in Love, and all the Demiurges vibrate in anti-love and they have different characteristics, and there is something very important that was said once by this beloved son called, Johnakan, as well as your kindred spirits in Love vibrate in harmony, there are kindred spirits vibrating in denser planes, but they no longer have the guarantee of getting along in a dense syntony. We, as Eons, vibrate in Love and the fact that we vibrate in Love makes that all of us be in a harmonious syntony. Do you follow me? Eon: The fact that the Demiurges vibrate in anti-love makes that they can be jealous of each other and compete against each other, but the fact that each one of them occupies a territory also prevents them to fight each other because each one of them is in his own territory and they cannot go to the territory of the other due to a matter of quantum law, so-to- speak. For example: if your spirit goes out of my Creation on a space ship heading to another Creation, which is closer to my Creation a few light years away, since you are part of my Essence because you are part of me, makes that you would be like a fish out of the water, and although the other Eon has the same loving vibration as I have, It’s a different consistency, you are not part of him, you're part of me, then, you could not go there in the same way that a primordial being, who was shaped by a Demiurge could not, “escape” from this Chaos in order to go to another chaotic vacuum from another Demiurge, because it was shaped by that Demiurge, it would have the features of that Demiurge. I think it's clear. Interlocutor: How about Eon and the other Eons, do you all always vibrate at different octaves? Eon: There may be differences in octaves, but the fact that we all vibrate in Love and there is no place for the roles of ego- not even an infinitesimal part of ego- makes that there is no competition among us. translated into the most basic language would be that if one Eon has two creative advantages over another Eon; That is, being two octaves more elevated, He is not going to look at the other Eon with an air of superiority. That does not exist. That directly does not fit into our concept. Interlocutor: How about the case of the Demiurges? Eon: The Demiurges do not ascend, then; that doesn’t fit either. On the other hand, it’s very difficult to explain it, even with the accuracy of this vessel, because if the Eon who is two octaves higher, and I, as an Essence, am two octaves lower, we both are an Eternal Present, we are not only an Eternal Present in this Creation, we are an Eternal Present in past and future Creations, then speaking hypothetically, no one has advantage in octaves over the other because we all are an Eternal Present, we are Eternity. Eon: Do you understand that? Interlocutor: To what extent can the Demiurge have influence over the embodied beings? Is it similar to the demons that affect us when we let them have influence over us? Eon: I’ll respond that question directly, then you can continue. That is, a demon, a spirit of error, or a primordial being have no power over unless you give in to your fears, then, they can feed on your fears if you give them place for it. Continue please. Interlocutor: Would it happen also to Angelic Entities? Eon: Yes, of course. An angel usually has no fear in the sixth plane, no roles of ego, but an angel is vulnerable being incarnated, but is the same for them, I mean, it’s up to them if they give place to these fears because they also have Free Will. The more you give place to these fears, the more vulnerable you will be to those entities, who don’t need to feed on your fears, but they do it precisely because they have anti-love. Interlocutor: Do they also have influence over the demons? Eon. No, but rather they are interested in hurting those beings who are on the Path towards my Light. Interlocutor: From the standpoint of Abba, Is it necessary the Demiurge to achieve balance with Eon? Eon: All the Demiurges, as well as my fellow Eons and ABBA, have always existed, we are an Eternal Present, there is a balance, but I could say that yes, it is necessary to offset the weighing scale. If you were too careful you would ask: Why didn’t you create a universe of Love without chaotic vacuum? And my answer would be: It’s done! It’ always existed, it will always exist. We must - and using the humor that I have- deal with them. Interlocutor: Is The Demiurge necessary for the evolution of Eon? Eon: No, you all are necessary, who are part of me. Interlocutor: If we keep in mind that starting from one point we can go to an infinitely distant point, it doesn’t matter how long, and likewise, if we want to go to the infinitely small point, Could we understand that space is just an illusion and that everything is in our minds? What would be the missing piece to put this concept together? Eon: No, this is the mistake of quantum physicists on Sun 3, who say that everything depends on the beholder, when in reality everything existed before the beholder! I think the answer is very clear; no beholder is needed so that something observed exists, and it’s not in the mind of the beholder. Everything exists even without the beholder, let’s be very clear with this very important question dear son. Interlocutor: Sometimes it’s very hard to realize this concept, one usually thinks about big and small things and it's like it never ends. Eon: However, it’s not in your minds, they exist even without you. Interlocutor: Well, I have no more questions. Eon: To conclude, I want to say that everything has a reason, you all have needs, those needs of yours make that you are demanding people and it’s also part of the evolutionary Path, although for the time being you believe that those needs are obstacles, a need, a demand, a vulnerability may seem an obstacle, but going back and looking for an expression in the physical language, if you seek for it, you'll see that the need is also a MO-TI-MO-VA-TION! I thank you for your conversation and I thank this vessel for channeling me again. I am always with you all. Interlocutor: Well, thank you very much. This entry was posted at Friday, September 30, 2011 and is filed under Dialogues with EON . You can follow any responses to this entry through the .